Nigeria is a gas-rich nation with proven natural gas reserves estimated at 180 trillion cubic feet, making it the ninth-largest in the world according to the EIA international energy statistics. However, gas production and utilisation has been hindered by several challenges, including a lack of adequate infrastructure to effectively monetise the abundant gas resources, an uncertain regulatory framework and a weak domestic gas market due largely to illiquidity of the power sector, its biggest local major offtaker. Power generation in Nigeria is mainly from hydro and gas-fired thermal power plants, with the hydro plants providing 2,380MW (approximately 16.7 per cent of the total generation capacity) and the thermal plants 10,142MW (approximately 83.3 per cent of the total generation capacity). In view of the aforementioned challenges, there is a significant need to supplement the grid power with renewable energy. The Nigerian renewable energy market, however, remains largely underdeveloped, although renewable energy project development has been ongoing in Nigeria for nearly two decades. Historically, Nigeria's main source of renewable energy has been hydropower plants. Over the years, this has gradually evolved to include other sources such as solar – predominantly through small solar street lighting projects and the current trend for distributed energy or stand-alone solutions. This progressive shift has led to the emergence of small-scale solar solutions for residential and commercial users, including banks (solar-powered automated teller machines (ATMs)), petrol stations and mini grids. In a bid to support the efforts of the Nigerian government and the private sector, international development finance institutions (DFIs), such as the United States Agency for International Development (USAID), the UK Department for International Development (DFID) and GIZ2 have contributed to the growth of renewable energy development in Nigeria. The US government through the USAID Power Africa programme supports the development of the energy sector through credit enhancements, grants, technical assistance and investment promotion efforts. To date, over $700,000 in grants has been awarded to entrepreneurs for innovative, off-grid energy projects in Nigeria. The Solar Nigeria Programme, undertaken by the Nigerian government in collaboration with DFID, was put in place in 2014 to provide solar power to public health and education facilities. The Programme provides credit facilities, grants and technical assistance to companies operating in the solar market. The Programme led to the development of a 5MW solar power project in Lagos, supplying electricity to 175 secondary schools and 11 primary healthcare centres within the state. DFID in collaboration with the Kaduna state government, in 2017, launched the Northern Social Project, an initiative to provide uninterruptible electricity to 34 primary health centres in the state via solar systems generating between 5KW and 25KW of power. The following are recent trends in the renewable energy market over the past couple of years. An estimated 27.9 million households and 10.6 million small and medium-sized enterprises (SMEs) have a critical need for access to electricity in Nigeria.3 With this demand projected to nearly double in the next 10 years, amid rising population density and more consumers having to rely on self-generation using firewood, kerosene, petrol and diesel to supplement their power needs, access to proven and cost-effective solutions are more crucial than ever. As reliance on alternatives (primarily generators) comes at a high cost, consumers (both residential and commercial) are seeking cleaner and cheaper energy sources to supplement their power needs. This has led to the emergence in Nigeria of a number of businesses and non-profit organisations focused on developing projects and products aimed at increasing access to power for homes, communities and businesses. Both local and international non-profit non-governmental organisations (NGOs) and pressure groups have over the years played a prominent role in promoting the development of renewable energy in Nigeria. These NGOs have been able to support the growth of the sector through capacity-building, provision of financing, and promoting public awareness. All On Partnerships for Energy Access Limited (All On) is a Nigerian off-grid energy investment company that, among other services, provides risk capital, project development support and funding to energy companies in the form of equity investment and grants. Some of the prominent projects All On has engaged in include investing in Lumos Global BV, a global off-grid solar company operating in Nigeria, and the provision of equity and debt funding to Green Village Electricity, Nigeria's leading mini-grid player, for expansion. In a bid to support clean energy investments in Nigeria, the Nigerian Energy Support Programme (NESP) was created in 2013 with funding from the European Union (EU) and the German Federal Ministry for Economic Cooperation and Development. Since its inception, the NESP has supported: policy development by collaborating with the federal government to establish a clean energy department at the federal Ministry of Power; rural electrification by developing the Mini-Grid Regulation subsequently issued by the Nigerian Electricity Reform Commission (NERC); and capacity development through its training courses in partnership with the National Power Training Institute of Nigeria, particularly in rural regions of Nigeria. In 2016, Nigerian Bulk Electricity Trader (NBET), for the first time, signed power purchase agreements (PPAs) valued at US$2.5 billion with 14 developers to purchase 1,125MW of solar energy, to be provided to the national grid. Unfortunately, since the agreements were signed, progress in the execution of the project has been slower than expected because of various issues, including inconsistencies in agreements on tariffs between project developers, NBET and the Federal Ministry of Finance, who would be backstopping the put–call option agreements (PCOA), and on indemnities issued by the federal government. The degree of insolvency in the sector has affected the willingness of the World Bank to provide Partial Risk Guarantees (PRGs) (though a number of projects had been nominated), which are required by both equity and debt providers. This has also delayed the flow of concessionary financing required by these projects, given the high costs and patient capital required. The Nigerian energy space has in recent years experienced an influx of solar stand-alone solutions – the most prominent of these being the Lumos Smart Solar System, which launched successfully 2016. MTN Lumos, which is a partnership between MTN, Nigeria's largest mobile network, and renowned solar experts Lumos, has attracted over US$40 million in foreign investment. Also, in 2016, Arnergy Solar Limited introduced the Arnergy Solar Rental Systems, designed to provide electricity for rent to consumers in off-grid communities. In 2017, the Azuri Quad off-grid solar technology was launched as a solar programme in partnership with the Niger Delta Power Holding Company, a company fully subscribed to by the government to deliver 20,000 solar home systems to rural households living without electricity. Government participation in the Nigerian renewable energy market has been minimal, limited mostly to making policies intended to encourage renewable energy project development. However, the Minister of Power, Works and Housing, Babatunde Fashola, in 2016, released a Road Map for Steady, Incremental and Uninterrupted Power Supply, which reinforced the 6 readiness to actively participate in renewable energy projects and to increase generation capacity in the country by the use of renewable energy sources, including solar, wind and hydro. One of the planned projects under the road map includes a 10MW wind farm project to be located in Katsina State. In 2017, the federal government with the assistance of the World Bank Group developed the Power Sector Recovery Program (PSRP), a policy initiative aimed at improving the reliability of the power sector in a bid to boost Nigeria's economic prosperity. A core objective of the PSRP is to implement off-grid renewable energy solutions aimed at providing electricity supply to rural communities. Renewable energy development initiatives have been undertaken by the following government agencies and parastatals. establishing an energy database to provide data on key indicators, such as: on-grid infrastructure, off-grid infrastructure, population statistics, availability of resources, and statistics on existing and upcoming amenities that require energy. In fulfilment of Nigeria's obligation to the United Nations Framework on Climate Change, the Federal Ministry of Environment (FMoE) initiated the Renewable Energy Programme in 2016,6 aimed at improving the viability of the Nigerian renewable energy market to attract capital to develop renewable energy technologies in Nigeria. The Federal Ministry of Science and Technology has a Renewable and Conventional Energy Technology Department (RCET), which supports the growth of renewable energy in Nigeria through research and development initiatives. The RCET collaborates with the Energy Commission of Nigeria (ECN) on projects aimed at improving the indigenous growth of renewable energy projects. The ECN, like the RCET contributes towards the growth of Nigeria's renewable energy market through its research and development initiatives, which have led to the establishment of research centres across the country. 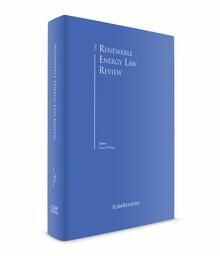 iv Legal framework for renewable energy project development. The following policies and pieces of legislation provide a broad outline of the legal framework for Nigeria's renewable energy market. The Electricity Power Sector Reform Act (EPSRA) is the principal piece of legislation governing Nigeria's power sector. The EPSRA provides for the establishment of NERC and the Rural Electrification Agency, including licensing provisions and the regulation of the generation, transmission, distribution and trading of electricity in Nigeria. The Environmental Impact Assessment (EIA) Act makes it mandatory for an EIA to be conducted for projects that are likely to have significant effects on the environment, including power projects. A power developer seeking to carry out power generation through the use of renewable energy must submit an EIA report to the National Environmental Standards and Regulations Enforcement Agency (NESREA) for screening. It is important to note that the submission of an EIA Approval Certificate is mandatory for an application of a generation licence from NERC. The Nigerian Electricity Management Services Agency (NEMSA) is responsible for the enforcement of technical electrical standards prescribed by NERC, including the testing and certification of electrical installations, electricity meters and instruments. The Mini-Grid Regulation is aimed at accelerating electrification in unserved and underserved areas – principally but not restricted to rural areas. The regulation is limited to distributed power of less than 100kW up to 1MW. The Renewable Energy Feed-in-Tariff (REFIT) Regulations aim at enhancing the attainment of the national targets on renewable energy-sourced electricity and encourage as well as support greater private sector participation in power generation from renewable energy technologies. The National Electric Power Policy outlines the framework for the power reform agenda in Nigeria. It also sets a target of a 10 per cent renewable energy mix for all new connections by 2020. The Nigerian National Energy Policy acknowledges the importance of the different renewable energy sources and how they can be effectively utilised. However, no concrete targets for renewables were set. The Renewable Energy Master Plan (REMP) encourages the integration of renewables (with particular emphasis on solar energy). The REMP advocates an increased supply of renewable electricity, from 13 per cent of electricity generation in 2015 to 23 per cent in 2025 and 36 per cent by 2030. The REMP has yet to be signed off by the government or formulated into a law governing renewable energy development. The Renewable Energy Policy Guidelines (REPGs) articulate policy goals for the development of off-grid independent renewables systems and the setting up of a Renewable Electricity Trust Fund (RETF), as well as cost-effective measures to accelerate renewable projects. The REPGs also include incentives for investors by way of a five-year tax holiday. The Renewable Electricity Action Programme (REAP) sets out a road map for implementing the REPGs and RETF and further sets out development targets for technology and application. As yet there has been no evident implementation of the REPGs and the REAP. There have been no notable developments in renewable energy law in Nigeria in the past year. The Nigerian Customs Service recently reclassified solar components and equipment under Harmonised System (HS) Code 8501, which caters for direct current (DC) generators, thereby attracting a 5 per cent import duty and 5 per cent VAT charge on all solar panels, modules and components imported into Nigeria (including bypass diodes, inverters, etc.). This is a radical change from the zero per cent import duty rate provided under the previous classification,7 which stipulated that the import duty on solar panels should be zero per cent. By virtue of the foregoing reclassification, solar panels imported for the purpose of power generation will be classified under HS Code 8501, while panels imported for any other purposes that do not include component parts for electricity generation, such as inverters or bypass diodes, will be classified under HS Code 8541, which is the classification for photovoltaic cells made up into modules not for power generation. This change is further heightened in view of the existing 20 per cent duty imposed on deep-cycle batteries, which already makes solar energy installation expensive. The new duty may hinder the importation of solar components and also lead to a commensurate increase in the cost of projects and stand-alone solutions, which in turn could have a devastating effect on Nigeria's solar market, currently valued at 18 billion naira. The NEMSA Act provides that no person shall be allowed to undertake electrical installation work on any premises unless that person is duly certified by NEMSA. To this effect, NEMSA issues certifications for contractors looking to engage in the business of electrical installations. The NEMSA certificate is fast becoming one of the compulsory tender documents for contractors looking to bid for power projects in Nigeria. All projects envisaged by the REA in line with its mandate under the EPSRA require contractors to provide, among other documents, evidence of registration with NEMSA as a licensed contractor in the power sector. In December 2017, the US African Development Foundation and All On announced the creation of a 15 million-naira partnership with the goal of expanding access to energy for underserved and unserved markets in Nigeria. In line with the trend of expanding energy access, MTN Lumos, in a bid to build on the success of its operations in the Nigeria energy market, is in the process of raising addition capital to the extent of US$200 million. In the first quarter of 2018, Rensource, a renewable energy provider, has been able to raise US$3.5 million through a round of investments led by Mauritius-based Amaya Capital Partners, with participation from Omidyar Network and Pule Taukobong's CRE Venture Capital. This also comes on the back of a US$30 million investment by African Infrastructure Managers in Starsight Power Utility Ltd, a Nigeria-based energy services company with clients in the financial services and energy sectors. While the policy direction of the government towards the diversification of Nigeria's energy mix has been largely progressive, the administrative challenges have stifled these efforts, particularly with respect to the cost of importing components and equipment required to develop renewable energy projects. With the current duty and VAT payable on solar equipment (10 per cent) and the additional 20 per cent payable on deep-cycle batteries required for energy storage, growth in the renewable energy sector currently valued at over US$50 million is significantly impeded as most of the projects are not bankable. The government through its agencies and parastatals has put in place several initiatives aimed at supporting the indigenous development of renewable energy technology. A large part of these programmes is aimed at supporting research and development in the area of renewable energy solutions. The Ministry of Science and Technology, through the RCET, supports research and development activities leading to the local production of solar panels, wind turbines and balancing systems (converters, inverters, controllers and chargers, etc.). The ECN, in line with its mandate to promote the development of energy resources and renewable energy, has established a number of centres across federal institutions in Nigeria, one of which is the Sokoto Energy Research Centre, at Usmanu Danfodiyo University, Sokoto. Since its inception, the Sokoto Centre alone has been involved in over 60 pilot projects that cut across the various aspect of renewable energy technology. Other centres established in universities across Nigeria include the National Centre for Energy Research and Development, University of Nigeria, Nsukka, and the National Centre for Energy Efficiency and Conservation at the University of Lagos. In addition to the above, the National Agency for Science and Engineering Infrastructure (NASENI), established in 1992 by the federal government, runs a 5MW solar panel manufacturing plant at Karshi, Abuja, for the production of solar panels and modules for Nigerians. In collaboration with the government, NASENI is pioneering the manufacture of solar plant modules and small hydropower turbines in the northern part of Nigeria; it is anticipated that these will be installed in each of the country's six geopolitical zones. The NREEEP provides incentives centred around renewable energy, some of which include: (1) customs duty exemptions for two years on the importation of equipment and materials used in renewable energy projects, (2) five-year tax holidays for manufacturers from date of commencement of manufacturing, (3) five-year tax holidays on dividend incomes from investments in domestic renewable energy sources, (4) provision of soft loans and special low-interest loans from the power sector development fund for renewable energy supply, and (5) grants to communities to encourage renewable energy projects. The NERC REFIT Regulations aim at generating a minimum of 2,000MW of electricity from renewable energy by the year 2020. The power generated is accorded priority access to the grid at a guaranteed price through mandatory renewable power purchase obligations on power distribution companies (Discos) and NBET. The Regulations, however, are limited to projects with a capacity of between 1MW and 30MW, and solar projects with a capacity of 5MW and below; off-grid renewable projects do not fall within the ambit of the Regulation. 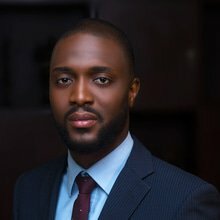 There are currently no tax credits for renewable energy as the Nigerian market has yet to develop sufficiently to accommodate such initiatives; however, there are plans by the federal government, under the NREEEP, to introduce tax credits for producers of renewable energy appliances and fixtures. The policies and incentives discussed above are largely applicable to all sources of renewable energy. However, manufacturers of solar energy-powered equipment and gadgets enjoy tax exemption (pioneer status) for an initial period of three years, which is extendable for one or two additional years.8 This incentive is not available to other renewable energy sources. NERC is responsible for granting all licences and approvals with respect to the entire electricity value chain (generation, distribution, transmission, trading, system operations, metering, etc.). The Transmission Company of Nigeria (TCN) is one of the entities created following the unbundling of the power sector. The TCN is currently the only entity licensed for transmission of electricity and consists of the market operator, the system operator and the transmission service provider. Given the TCN's monopolistic status, on-grid renewable projects require collaboration and contractual arrangements with the TCN. The market operator is also responsible for the administration of the market rules applicable to projects supplying power via the transmission network. Nigerian Bulk Electricity Trader (NBET) is currently the sole holder of a trading licence in Nigeria. NBET enters into bulk PPAs with generation companies and independent power producers (IPPs) for the bulk purchase of power, which is then resold to the relevant Discos in Nigeria under a vesting contract. The Standards Organisation of Nigeria (SON) is responsible for setting the standards of all products and equipment in or brought into Nigeria. SON through its electrical and electronics group certifies products that are imported or manufactured in Nigeria and ensures that all products and equipment are of the correct quality and standards. The Nigerian Electricity Management Services Agency (NEMSA) has responsibility for ensuring the enforcement of technical standards in the power sector and conducting inspections of electricity projects. NEMSA collaborates with SON and other governmental agencies to ensure that all major electrical materials are of the correct quality and standard. The Nigerian Customs Service (NCS) is responsible for implementing and collecting import and excise duties for products and equipment imported into Nigeria. The import duty and VAT currently imposed on the importation of solar equipment and its components is paid to the NCS. NESREA is responsible for the protection and development of the environment, biodiversity conservation and sustainable development of Nigeria's natural resources in general, and for environmental technology in relation to environmental standards, regulations, rules, laws, policies and guidelines. Energy project developers in Nigeria must comply with the provisions of the Environmental Impact Assessment Act. While Nigeria has an Endangered Species Act, there are no specific provisions with respect to the development of renewable energy projects; this Act, however, generally seeks to safeguard the conservation and management of Nigeria's wildlife, and ensure the protection of species in danger of extinction as a result of over‐exploitation, as required under certain international treaties to which Nigeria is a signatory. Nigeria's renewable energy market is still largely new and not sophisticated enough to ascribe special values to electricity from renewable energy in terms of green attributes or renewable energy credits. However, it is important to note that NREEEP proposes a power production tax credit (PPTC). The PPTC seeks to incentivise individuals who generate electricity from renewable energy with tax credits. While this has not yet been implemented in Nigeria, it is a step in the right direction towards improving Nigeria's energy mix, as well as placing value on electricity generated from renewable energy. It is expected that the implementation of the policy and the PPTC will encourage private investment in the industry. Furthermore, renewable energy power projects in Nigeria are largely off-grid, as the market has not yet developed to the point where several developers can feed power generated from renewable energy sources into the grid. While the government in recent times has shown a keen interest in ramping up renewable energy development in Nigeria, there is no mechanism in place to effectively track such development across the country. However, it is envisaged that the energy database currently being developed by the REA will provide data on renewable energy projects across Nigeria. ESIA certificate: between six months and one year. The privatisation of Nigeria's power sector and the acquisition of power assets worth US$3.3 billion was largely funded by local banks through corporate finance structures with guarantees required from the sponsors' existing businesses. However, Nigeria has yet to record a project financed renewable energy project. To date, the 459MW gas-fired Azura-Edo project remains the first and only successful project financed greenfield power project in Nigeria. Bankability under project finance is largely dependent on proper risk allocation as provided in the suite of agreements to be executed at each stage by the project stakeholders. A broad overview of the agreements and project documents negotiated and executed under the Azura-Edo deal, and the counterparties concerned, is provided below. Under the Azura-Edo project, the following property documents were executed between the Edo state government and Azura Power in conjunction with the relevant host communities: Certificate of Occupancy (C of O), Deed of Assignment or Deed of Lease. A PPA was concluded between NBET and the Azura-Edo IPP. Some of the finance documents executed under the Azura-Edo project include: security documents such as an account charge agreement; intercreditor agreements; hedging agreements; subordination agreement; accounts agreements; DFI loan agreements; local bank loan agreements; common terms agreement; claims cooperation agreement; and mezzanine loan agreement. A standby letter of credit (LC) was provided by NBET backed by a series of World Bank PRGs provided by the International Bank for Reconstruction and Development (IBRD). IBRD also provided political risk insurance cover, which was also contemplated under the insurance cover provided by the Multilateral Investment Guarantee Agency (MIGA). NBET cooperation agreement between IBRD and NBET. An operations and maintenance (O&M) agreement was concluded with the O&M contractor. An engineering, procurement and construction (EPC) agreement was concluded with the EPC contractor. An original equipment manufacturer (OEM) agreement was concluded with the manufacturer. The PCOA sets out the terms and conditions by which the investor may sell its interest or shares in the project company to the federal government in the event of a government or investor default under the PPA with NBET. In the Azura-Edo deal, the PCOA was entered into between the federal government, NBET and the Azura-Edo IPP. Direct agreements give the lenders the right to step into the shoes of the sponsors where there has been a default. It allows the lenders an opportunity to cure any defect that might occur as a result of an action or inaction of the project sponsors. This will typically include: a PPA direct agreement; an O&M direct agreement; an EPC direct agreement; and a PCOA direct agreement. There is currently no industry standard for the term of a debt for renewable energy projects in Nigeria, particularly as there is no recorded project-financed renewable energy project. Commercial bank loans are typically short-term loans of three to seven years, except in the case where credit enhancements have been provided to give comfort to the banks, as was the case in the Azura-Edo deal. The Azura-Edo deal was financed with loans from a range of DFIs, local banks and multilateral agencies. In contrast to commercial bank loans, DFIs typically provide long-term financing for a period of 15 to 20 years. The commercial banks involved in the Azura-Edo project include Standard Chartered Bank, Siemens Bank, Stanbic IBTC Bank, Rand Merchant Bank and First City Monument Bank. However, we have noted that the commercial banks are hesitant about funding renewable energy projects and we have yet to see any funding structure involving a commercial bank for such projects. We are also aware that some projects may utilise Islamic finance models in their financing structure. The DFIs used in the financing of the Azura-Edo project include International Finance Corporation (IFC), FMO, Infrastructure Crisis Facility – Debt Pool, and CDC Group. It is important to note that the IFC and FMO are currently involved with a few of the 14 solar project developers. Several institutions purchase and use renewable energy, mostly as an alternative source of power. For the supply of power on-grid, the offtaker is NBET. As Nigeria's renewable energy market has yet to be fully developed to accommodate the injection of power from distributed renewable energy sources, most projects that adopt renewable energy operate hybrid systems with power from renewable energy sources serving as backup to grid or diesel generators. This is typically the case with respect to commercial banks that use solar to power ATMs, or petrol stations that use solar to power their dispensers. Furthermore, residential offtakers, as well as SMEs in the service industries, including small health solution centres, tailors and salons, make up a high percentage of the offtakers that utilise solar energy in Nigeria. In Nigeria, unlike in other countries, there is no market for renewable energy credits. Outright purchase: energy consumers may acquire the solar energy equipment by outright purchase and install it on their sites for their use. In this case, the electricity consumer takes full ownership of the equipment. Lease to own: renewable energy providers also offer lease-to-own schemes that allow the electricity consumer to pay for the equipment over a period while continuing to use it. Ownership remains with the renewable energy provider until payment is complete and it then passes to the electricity consumer. Subscription (power as a service): in this arrangement, the solar equipment is installed on the electricity consumer's site; however, there is no transfer of ownership. Instead, the consumer merely pays a subscription fee to use the equipment. Ownership remains with the energy provider. The current trend in the Nigerian market is for small-scale solar systems that can be used to either supplement grid power or generators. Companies such as Arnergy Solar and MTN Lumos are prominent players in this space. New entrants to the market such as Rensource, who provide subscription-based power from solar, are expected to help grow Nigeria's renewable energy market by providing highly competitive prices and flexible power solutions that can be tailor-made to meet the needs of both businesses and residential offtakers. Apart from project financing models, other non-project finance structures have been explored for developing renewable energy projects globally. One such structure is crowdfunding, which has helped support a number of projects in Africa, some of which are in Nigeria. While crowdfunding is currently not permitted in Nigeria, developers have been able to take advantage of foreign crowdfunding platforms to finance local projects. A good example of these platforms is Bettervest GBMH, a German company that has publicly expressed interest in the financing of renewable energy projects. Through Bettervest, SOSAI Renewable Energies Company, an indigenous company, has been able to raise almost €450,000 in three investment rounds from over 800 investors around the world. Investment funds have in recent times been explored to finance renewable projects in Nigeria. CrossBoundary Energy, Africa's first dedicated fund for commercial and industrial solar, falls within this category. Renewable energy developers have also benefitted from grants provided by DFIs in Nigeria, such as the Bank of Industry, and international DFIs such as the UK DFID. While the government has established a number of manufacturing facilities, there are currently no solar panels being manufactured in Nigeria. Currently, most local companies are primarily involved in the assembly of renewable energy equipment, particularly solar panels and other solar energy components and systems. However, through the combined efforts of the RCET under the Ministry of Science and Technology, the ECN through the various research centres spread across the country, and entities such as NASENI, Nigeria is considered to be poised to commence indigenous manufacturing in the very near future. individuals engaged in the manufacturing of transformers, meters, control panels and other electricity-related equipment are granted a five-year tax holiday, renewable for a period of two years. While these incentives are aimed at encouraging manufacturing of renewable energy equipment, there are no tariffs with respect to renewable energy equipment. There are currently up to 14.2 million households and four million SMEs without access to electricity, which translates as over 33 per cent of the population being off-grid. Of the 73 per cent connected to the grid, 43 per cent to 45 per cent receive electricity for less than four hours a day, which means that there is great reliance on self-generation using generators. With the United Nations projecting Nigeria's population to exceed 300 million by 2050, thereby overtaking the United States as the third most populous nation in the world, it is crucial that the current supply outlook is addressed urgently, to match the growing population and its electricity needs. The federal government, under the NREEEP, plans to ramp up the percentage contribution of solar energy to the energy mix to a minimum of 3 per cent by 2020 and 6 per cent by 2030. Furthermore, once commercial issues are resolved, the prospect of 14 solar PPAs becoming operational, combined with the innovative efforts of the REA to harness renewable power through its special EEI and EEP projects, suggests that Nigeria's renewable energy future is looking bright. In addition to the above, the rapid growth of stand-alone solar solutions in recent years is also a testament to the opportunities that lie in the energy sector, with more solar companies focusing on providing small-scale solutions to meet everyday household and commercial needs. However, it is important to address the challenges in financing on-grid, off-grid and distributed energy projects in Nigeria, to make attracting investment in such projects more viable. To move Nigeria's renewable energy sector forward, the government will have to focus on ensuring that the relevant policies to encourage development of renewable energy projects (including manufacturing components locally) are codified and duly enforced by the various regulators and stakeholders. Also, the government must address both the administrative bottlenecks (which often cause delays and stifle investment) and the liquidity issues in the sector by harmonising processes, technical codes and standards to enable capacity development in the sector. 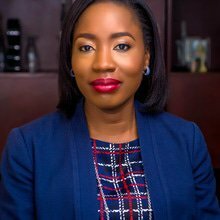 1 Dolapo Kukoyi is a partner and Adeyemi Esan is an associate at Detail Commercial Solicitors. 2 Deutsche Gesellschaft für Internationale Zusammenarbeit (GIZ) GmbH is a provider of international cooperation services for sustainable development and international education work. 3 Nigeria: Energy needs assessment and value chain analysis (2017), published by All On Partnerships for Energy Access Limited. 4 National Energy Efficiency Action Plans (NEEAP) (2015–2030). 7 Nigerian Customs Common External Tariff Code 541.4010.00. 8 NIPC Pioneer Status Incentives August 2017. 9 Section 12(b) of the NERC Application for Licence (Generation, Transmission, System Operations, Distribution and Trading) Regulations 2010. Note, however, that in practice this may take up to 12 months. 10 Section 10(2) of the NERC Mini-Grid Regulation. 11 Section 7(b) of the NERC (Permits for Captive Power Generation) Regulations 2008.